This stunning Newbridge bangle is a thick Rose gold bangle with a diamond like design throughout based on a cream background. 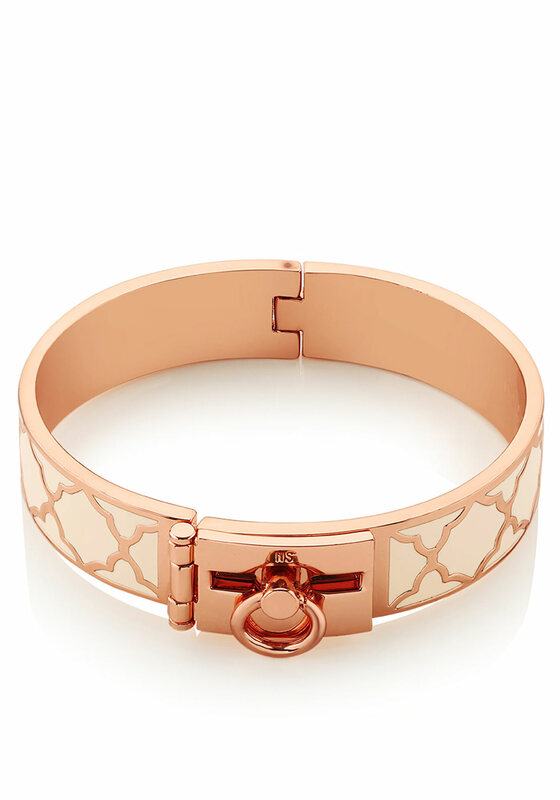 The bangle has a very unique closing by a hinge lock that is also rose gold. The perfect gift for yourself or a loved one.